Jenn grew up just south of Boston, the youngest of three children. She is a geek like her elder brother, and a feminist like her elder sister. She is an overly enthusiastic fangirl with a passion for a little of everything. Her first major all-out obsession was the world of Harry Potter which took her habit of reading from a hobby to a way of life. She has been writing since before she could spell, and attempting to create art since pre-k finger-painting sessions. She is a single mom, parenting a wonderfully brilliant geekling while she attends school full-time at her university in order to earn a degree in writing with a heavy focus on mythology and folklore. Anthropology is a passionate side-pursuit. Around the interwebs she’s known as Jennity and can be found geeking out about her fandoms or playing games with her school’s Adventure Role Playing Club or with friends and family. She adores all things steampunk and alt-history, will read nearly anything she can get her hands on, and listens to most genres of music. 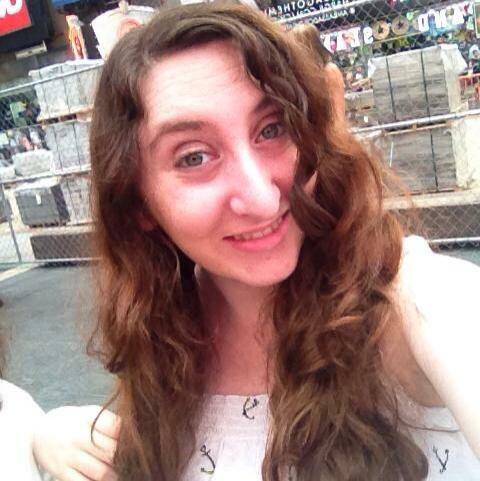 Jennity is active in the LGBTQA* community and is an advocate of alternate lifestyles and lovestyles. She is an avid traveler and wanderer, and her goal is to live a fulfilling life that leads to new experiences and lessons for herself and her daughter. Deanna was born into a geeky family. With parents obsessed with Star Trek (hence the name Deanna) and a sister who believes she’s batman, Deanna found her own fandoms to embrace. From scifi/ fantasy and dystopia to realistic fiction, Deanna has a broad range of interests including Harry Potter, Twilight, Teen Wolf, every show that’s ever been on ABC Family, and The Kardashians. She believes in fandoms uniting and fandom respect above all else. One day she hopes to be a middle school English teacher and have at least one young adult book published. For now she’s a student at Rider University who enjoys a good berry and chocolate pie. Having one foot planted in reality, and the other in a la-la land of her own creation, Lex has had a propensity for the fantastical for as far back as she can remember. She has a penchant for the strange and macabre, mindless doodling, collaborative art and design, reading, research, freeform online text-based rpgs, spending restorative periods of time by herself, long walks on the beach and poking dead things with a stick. Lex has an extensive artistic and sewing background, and is an alumna of Moore College of Art and Design in Philadelphia, PA , where she graduated with a degree in Fashion Design and a minor in Illustration. 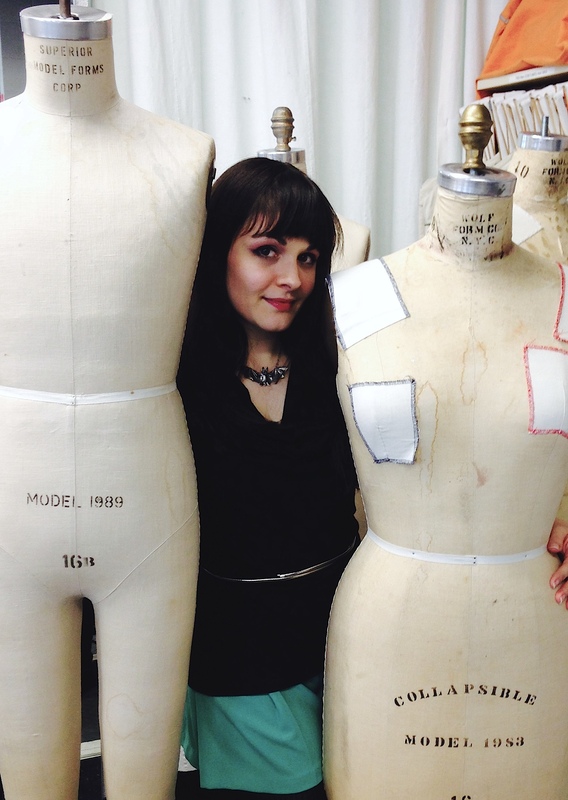 She now works in the Theatre and Dance Department at Muhlenberg College in her hometown of Allentown, PA, as a lecturer, costume designer and stitcher. In her spare time, Lex designs and creates one-of-a-kind jewelry, hand bags and various other accessories. 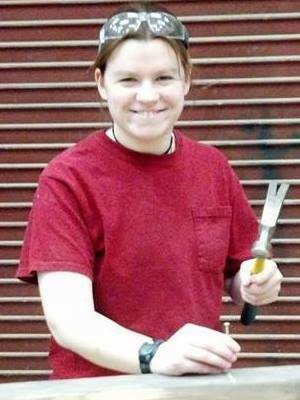 Additionally, she’s a retired skater (Minerva Steel) and former coach for the Lehigh Valley Rollergirls, and is an urban gardener. Lex can be found on twitter (@ms_steel) and on tumblr (http://lexgurst.tumblr.com). Jenn first discovered her geek-love in high school where she became a theatre tech. Since then it has been a non-stop, out of control, [upward] spiral of learning about new hobbies and participating in them. She loves games of all kinds, and continues to get involved with up and coming hobbies, or learning about oldies but goodies. 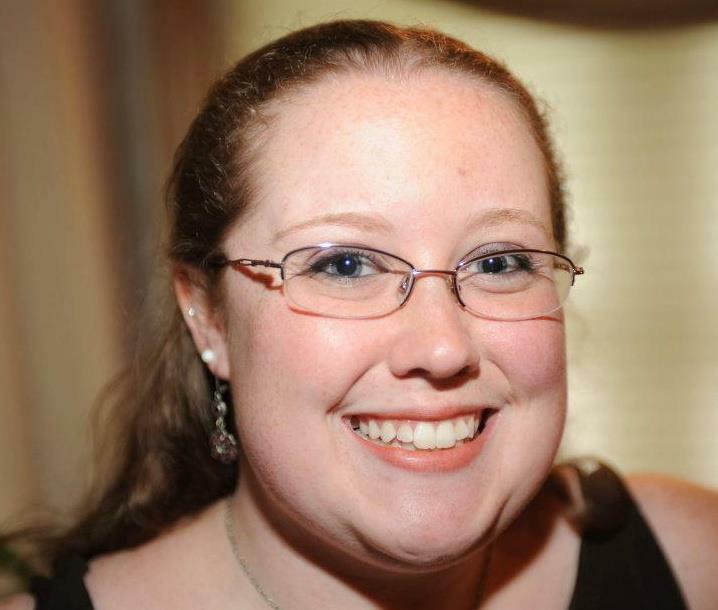 An alumni English major and writer from Bridgewater State University (’14), Jenn loves books, tea, writing, hiking, food, kayaking, and carpentry. She encourages people to celebrate their hobbies. She considers herself to be a beginning foodie. Jenn can be found at her local game shop, Battlegrounds Games and Hobbies, painting Warhammer 40K models, playing XBOX, teching at the Spire Center for Performing Arts in Plymouth, or trying a new restaurant or tea. Like many of her geekette comrades, Brianna was doomed (destined?) to be some sort of geek. Her early obsession with Sailor Moon was the gateway to Anime and Manga, and under the nurturing of an older female cousin she gravitated towards fandoms like Buffy the Vampire Slayer and Charmed, as well as Nancy Drew books and Greek myths. 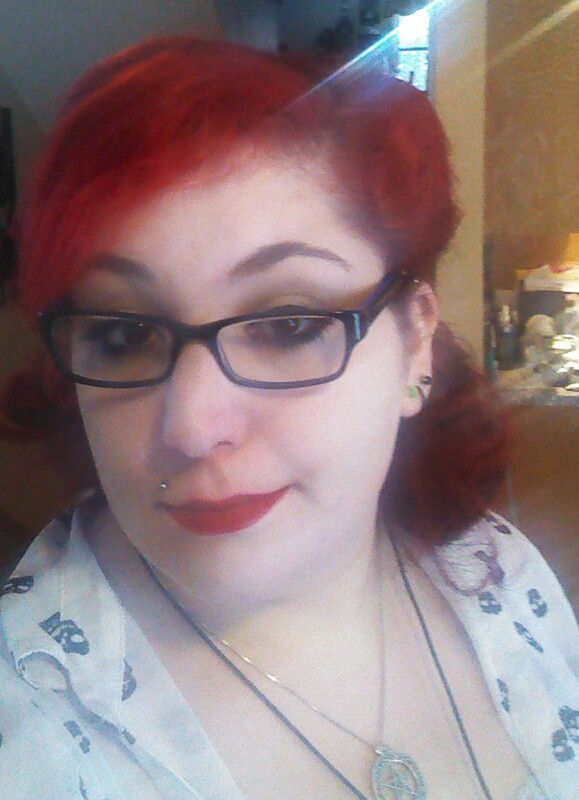 As the resident Grammar Geek among friends, it came as surprise to no one when Brianna decided to She graduated with honors in 2013 from Bridgewater State University after writing a thesis about the evolving female vampire figure in manga series like Hellsing and Karin. She has a borderline unhealthy obsession with the 1980s and wonders why no one else appreciates the greatness of Grease 2. Movies she could watch over and over again include The Princess Bride, Silence of the Lambs, The Fifth Element, and anything by Kevin Smith. She is also an avid photographer and hopes to turn that passion into a side-business. 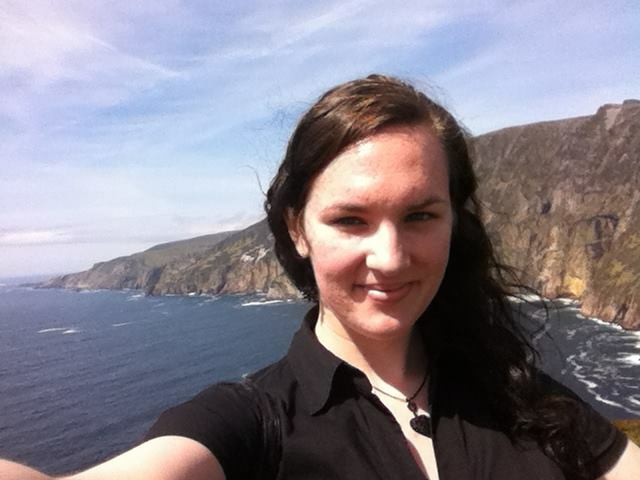 Carly O’Connell is a linguist and a bibliophile; basically, words are her passion. An insatiable reader since childhood, Carly devours YA fantasy and supernatural novels by the pound, though she’ll read almost anything that comes her way. She has a particular penchant for myth and folklore, especially tales from the darker side of faerie. When she’s not nose-deep in a book, you can find her hand-crafting faerie-inspired accessories, hosting themed tea parties, or slack-lining and sunbathing at the local lake. She is currently spending her first year out of college teaching English in China. Neither the width of the globe nor a 12 hour time difference can keep her away from DG, however, as she continues to churn out book reviews like gremlins in a rainstorm. Carly studied Chinese and Japanese in school (and plans to add more languages to her collection in the future) as part of an evil plot to have access to all the world’s literature. Julia has been a voracious reader since she first learned to read. She picked up her first vampire novel in fifth grade, and has been hooked on the genre ever since. She reads books of all types, but has a special love for YA sci-fi/fantasy and classical literature. She is currently pursuing a career in publishing in New York City as part of her secret plan to convince people to pay her for reading books. When not editing or writing for The Daily Geekette, she runs her own gothic book blog over at www.TheGothicLibrary.com. 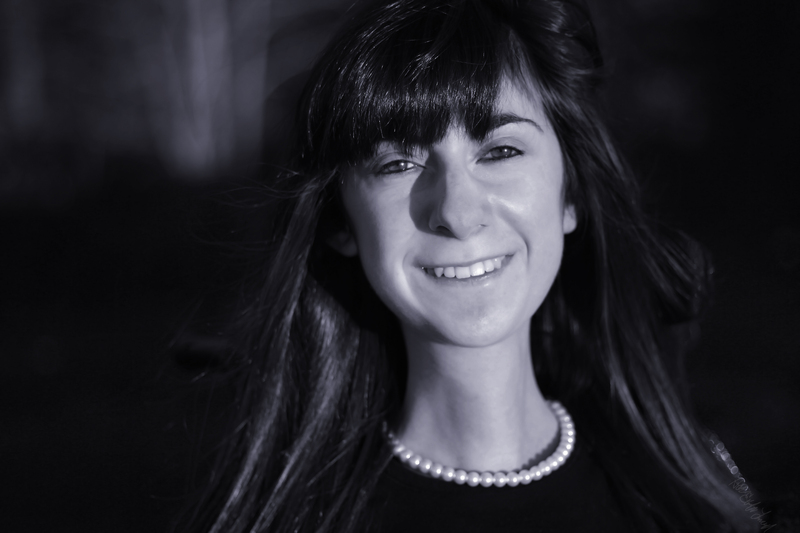 Madison Parrotta has been in awe of books since the age of 4, when she had the equivalent of a mid-life crisis over her biggest fear: that she would never figure out how to read. Luckily, this fear was obliterated fairly quickly, and since then, her passion for books has only grown. She began with Nancy Drew and has never stopped reading, even though she tends to lean towards more realistic and dark books today. Her love of reading led her to other interests, such as theatre and editing. She hopes these will someday become her career path. reading, and writing Fringe and Percy Jackson fanfiction. Melissa is the humble writer of your “geekup fix”. She is here to answer your questions, give advice, and show you some shiny stuff. Melissa’s first fandom was Sailor Moon when she was five years old. From there, Harry Potter, A Series of Unfortunate Events, vampire novels, horror movies, “Doctor Who”, and even more have been added to the list. Melissa was bullied for being nerdy, but managed to come through safe. After her own series of unfortunate events, Melissa started teaching herself how to do makeup. Ten hours of viewing makeup tutorials on Youtube brought Melissa to where she is today. Melissa is a licensed hairdresser working for The Hair Cuttery in Massachusetts. She also is co-runner of Have Whedon Will Travel on Tumblr and Facebook. Caitlin’s earliest geeky memory is dancing to the opening credits of TNG in her pjs because Star Trek was part of her bedtime routine. Unfortunately her bedtime was in the middle, resulting in many half-watched episodes. 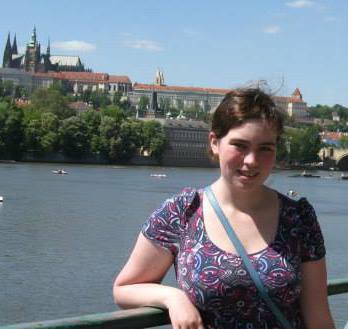 A native Bostonian, Caitlin didn’t own her geekiness until college when she discovered Star Trek Voyager. Up until then she just thought she was a bookworm and a nerd. She bought both TNG and Voyager in DVD before Netflix put them up for streaming. Since ‘coming out’ she’s gotten into social media which has led to a doctor who obsession as well as trips to cons in Las Vegas and Los Angeles. 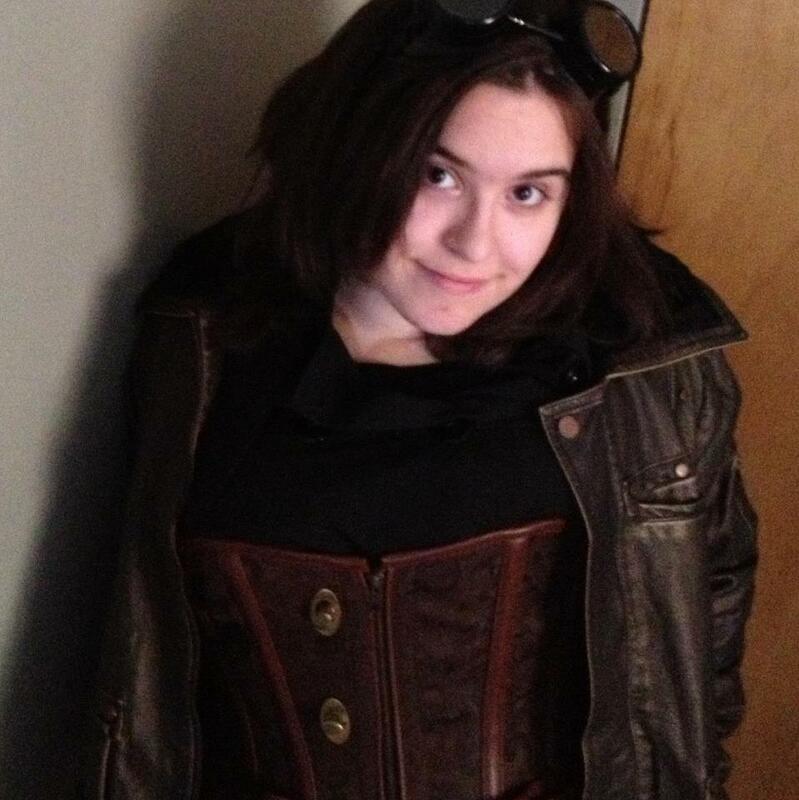 After graduating from college she joined both a Whovian group and a Sci-fi Fantasy group to meet like-minded geeks in real life. Kat has spent most of her life in Maine, riding wild moose over the glacial tundra. Ever since she saw Iron Man back in 2008, she has been an avid fan. She has seen all the movies, read too many comics to count, dressed as Tony Stark for the New York Comic Con, and quite frankly never shuts up about the subject. Her comic tastes range from the 80s to the more recent installments. In addition to Marvel, Kat is also a major Pixar and Disney fan. She collects, dissects and reads about every film they’ve made, along with their history. At this point in her life she doubts she watches anything live action unless the Marvel title card precedes it. She recently had to construct a shelving unit in her room to hold her vast collection of comics, books and movies. It is carefully guarded by her action figure collection (not dolls, mom, ACTION FIGURES). 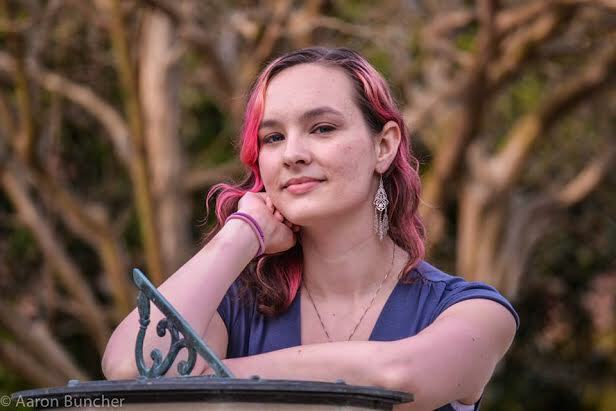 Currently, Kat is double majoring in Classics and Media Arts & Sciences at school, and raises an adorable betta fish named Galileo. She draws, reads, writes, oversees an engineering lab, helps children assemble computers, builds robots, operates a laser and every now and then dons a cape to go save the world.